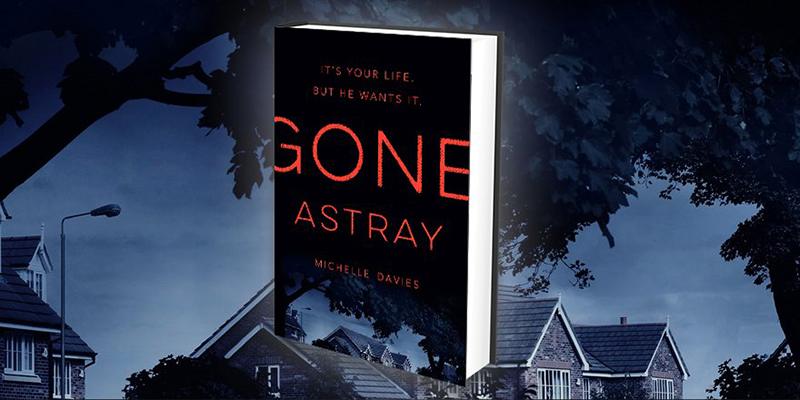 Michelle Davies tells us about inspiration behind her debut novel Gone Astray. For years I had wanted to write a detective-led crime novel but struggled to commit an idea to paper. The problem lay with my main character: with so many fantastically drawn detectives already filling my bookshelves, how could I possibly compete? As time went on, the advice of a brilliant magazine editor I worked for became my mantra: when you write something, make sure it hasn’t already been done. But what other police role would be immersed enough in an investigation to create an entire novel around it? It was while conducting a magazine interview with a woman called Kerry Needham in 2012 that I finally had my light-bulb moment. Her name is probably familiar to you: Kerry’s spent two decades searching for her son Ben, who went missing on the Greek island of Kos when he was 20 months old. Blond-haired, blue-eyed, Ben had the kind of cherubic face that belonged on a Mothercare advert, not a ‘Missing Person’ poster. Our interview was timed to coincide with the fifth anniversary of the disappearance of another child, Madeleine McCann: Kerry had graciously agreed to talk to me about what life was like when your missing child never returns. I know she hoped our interview would reignite interest in Ben’s case (which I’m pleased to say it did, as the subsequent publicity eventually prompted the Government to agree to extra funding for the investigation) but I had no idea it would be pivotal for me too. Kerry mentioned she had a Family Liaison Officer (FLO) assigned to her by South Yorkshire police. This support officer, a woman called Jane Morley, was her go-between, someone she could call upon when she had a query about the case and who could vent her frustrations at. It was clear Kerry viewed Jane as one of the most important people in her life at that time. I was already familiar with the role: FLOs had popped up in many crime novels and TV dramas before then. But their appearances tended to be fleeting: they were usually female officers relegated to dishing out ‘tea and sympathy’ and opening the front door to the Senior Intelligence Officer (SIO). They were a footnote, nothing more. Yet hearing Kerry talk about Jane convinced me it was a role worth exploring further. But what fascinated me most – and what convinced me a FLO would make a brilliant main character – was the fact that these officers do become entwined with the families they serve. During the course of my research I came across so many relatives who credited their FLO with saving them from a complete breakdown: one woman, whose sons had been murdered by her ex-husband, even had her FLO give her away when she remarried. These officers – there are currently 3,000 FLOs in the UK – are truly the heart of modern policing. It’s about time they took centre stage.